Fats Waller was a popular American jazz pianist, composer, organist and singer-songwriter, best remembered for his stride piano compositions. Read this biography to know his birthday, childhood, achievements, family life and other fun facts. Fats Waller was an American jazz pianist, composer, organist and singer-songwriter who is best remembered for his stride piano compositions and hilarious antics on stage. Brought up in Harlem by his clergyman father and musician mother, he was exposed to both church and modern music early in his life. He learned to play the piano at the age of six and decided to become a professional jazz musician soon after. He left school at the age of 15 to join Harlem’s Lincoln Theatre as an organist. Within a year, he also left home and started learning music from different teachers while earning his living by doing several odd jobs. He recorded his first song at the age of 18; and by 22, he had found some recognition. However, it took him several more years to attain stardom and financial security. He died of pneumonia at the age of 39 while returning home from the West Coast. 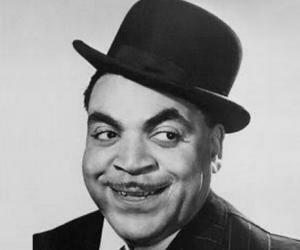 Fats Waller was born as Thomas Wright Waller on May 21, 1904, in Harlem, New York. His father Edward Martin Waller was the owner of a profitable trucking business and also a lay preacher at the Abyssinian Baptist Church. His mother Adeline Locket Waller was a music teacher and church organist. Fats was the youngest of his parents’ 11 children, out of which only five survived infancy. He was a very restless child, who was keenly interested in music. It was probably at his father’s church that he was first exposed to music. Every Sunday, he accompanied his parents to the service, where he loved to hear the religious hymns. The church’s organ greatly attracted him and so did his neighbor’s piano. Around the age of six, he started visiting his neighbor’s apartment because they owned a piano and allowed young Fats to play it. When he declared his ambition to become a pianist, his parents brought a piano home, and his mother started teaching him the instrument. Later, his parents hired a piano teacher for him. His first piano teacher was certain Alice Perry. Later, he took a few lessons from Frances Murphy. He was also studying under the music director of his father’s church, Mrs. Edna Perrin, who exposed him to the traditional organ works of Bach. But he found the organ lessons boring. In Harlem, Fats was also exposed to modern jazz music, picking it up by the “ear”. At the age of nine, he horrified his father by jazzing up a hymn on the organ. 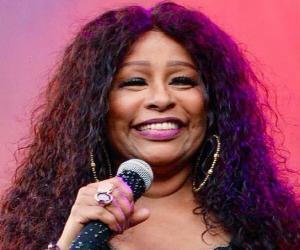 By the age of 10, Fats had acquired a basic knowledge in music and proficiency in organ. Concurrently, he also learnt to play the string bass and violin at ‘Public School 89’, where he studied until the age of 14. Sometime in his early teens, Fats met Miss Maizie Mullins, the organist at Harlem's Lincoln Theater. Very soon, he started taking lessons from her, paying her fees by working at a grocery shop. He then started dreaming of replacing her at the theater. In 1918, he was enrolled in the DeWitt Clinton High School, where he acquired the nickname ‘Fats’. Shortly, he began taking part in the school orchestra. In the same year, he won a talent contest wherein he played Johnson's ‘Carolina Shout’, picking it up from a recital on a player piano. In 1919, 15 years old Fats Waller dropped out of school to become an organist at Lincoln Theatre, earning $32 a week. His job was to play the organ to accompany the silent films shown there. Concurrently, he started studying under pianist Russell Brook, before composing his first rag that year. In 1920, his mother passed away. During her lifetime, she acted like a bridge between young Fats and his father, who never approved of his jazz music addiction and wanted him to join the ministry. After his mother’s death, their relationship became very sour; and following a bitter argument with his father one day, Fats left home. After leaving home in 1920, Fats temporarily moved in with his piano teacher Brook and started working at an upholstery company to earn his keep. Later, he moved in with his friends; but continued to study under Brooks, with whom he shared a very good relationship. Brooks had a player piano as well as several rolls by Luckey Roberts and James P. Johnson. Eager to learn them as quickly as possible, Fats spent hours glued to the piano, putting a finger on the keyboard and listening intently as the instrument automatically played the rolls. It was through Brooks that he first met James P. Johnson and Willie Smith, famed stride pianists of the time. Recognizing his talent, Johnson accepted Fats as his student and taught him the stride piano style, also providing him a solid base in music, which dramatically improved his style. 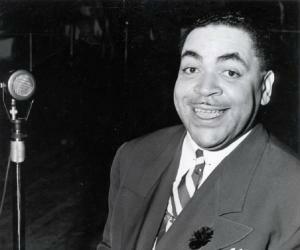 While he was learning music from Johnson, Fats concurrently started a unique venture called ‘Rent Parties’. The idea was that the tenants, who could not pay their rent, would hire a musician, who would in turn play music and raise money for the tenant. Very soon, the idea caught on. In the 1920s, ‘Rent Parties’ became very popular, especially in Harlem areas, and Waller became one of the most popular musicians to be hired for this purpose. Meanwhile in 1921, he left Lincoln Theatre to join Harlem's premiere Lafayette Theater as an organist for a salary of $50 a week. Fats Waller started composing music in 1922 at the insistence of Clarence Williams, the noted jazz pianist, composer and promoter. Williams was associated with the ‘Okeh Phonograph Company’ in New York and encouraged Fats to record some tracks for them. Fats composed his first numbers, ‘Muscle Shoals Blues’ and ‘Birmingham Blues’, sometime in October 1922. Both ‘Muscle Shoals Blues’ and ‘Birmingham Blues’ were written spontaneously in the studio, which proved his marvelous tune-writing ability. Subsequently, he started working with Williams and co-wrote ‘Wild Cat Blues’ with him. The number was first recorded by Williams on July 30, 1923. In 1923, Fats collaborated with J. Lawrence Cook to create his first player piano rolls for ‘Quality Reigns Supreme Company’ of Buffalo. Around the same time, he started getting radio gigs, which included him singing for WDT in Manhattan. He started recording for the Victor Company in 1926, and his compositions started making waves. Very soon, he began to collaborate with many well-known artists. Concurrently, he continued to perform at various movie theatres, clubs and rent parties to make money. Sometime in 1926, he reportedly sold many songs, such as ‘I Can't Give You Anything but Love, Baby' and 'On the Sunny Side of the Street', at throw away prices to composer like Jimmy McHugh. These numbers later became hit songs. In 1926, while leading a band in Chicago, Fats was kidnapped and taken to the notorious gangster "Scarface" Al Capone’s den. In captivity, he was ordered to play the piano nonstop at gun point. It was Capone’s birthday party, and Fats was able to please him. Capone not only let him go after the celebration got over but also gave him tips worth several thousand dollars. Fats met Andy Razaf in 1927 and co-wrote many successful numbers with him. Yet, life continued to be hard for them, as the music publishers paid very low rates for their works. Later, they began to sell the same products to a number of publishers; earning a decent amount for their work. He began to withdraw from the rent party circuit in 1927 and started composing Broadway musicals with James Johnson. In the same year, he wrote the score for ‘Keep Shufflin’, which premiered at Broadway on February 27, 1928 and ran until May 26, having 104 performances. In 1929, he joined New York's Paramount Theater as an organist. In the same year, he composed some music for ‘Hot Chocolates’, a hit revue. His other notable composition that year was ‘Honeysuckle Rose’, which was written for the Off-Broadway revue ‘Load of Coal’. While Fats Waller had become a known name, he had not yet achieved economic success. In 1931, possibly to achieve financial stability, he travelled to Paris with William Spencer, successfully playing in a number of clubs. However, he began to feel very homesick and one evening, he abandoned his friend and just vanished. In 1934, Fats Waller was rediscovered in New York by RCA Victor recording executives at a party thrown by Georges Gershwin. It was a lucky meeting because soon after that, he had several recording sessions at the company. He recorded his first track for them on May 16. In November 1934, he signed a long-term non-exclusive contract with RCA. He was recording one hit song after another and soon became a big star. However, the stardom and wealth had little impact on him as a person, and he remained as cordial and humorous as before. The group of musicians who accompanied him during his first recording on May 16, 1934 remained with him until his death in 1943. Later known as ‘Fats Waller and his Rhythm’, the group recorded more than 400 songs with him and also accompanied him during radio shows and movie performances. Fats knew how to bring out the best in each performer, directing them with his unique humor. His hilarious antiques also made his shows very popular, as the audience appreciated them as much as it loved his music. Towards the end of the 1930s, he went on a tour of England and Ireland, where he was warmly received. On September 30, 1938, he appeared on one of the first BBC television broadcasts. While in England, he also recorded a number of songs for EMI Group Ltd.
After returning to the USA in 1939, he performed at Carnegie Hall in New York. By then, he was tired of his ‘jokester’ image. Instead, he now wished to be recognized as a great pianist and a serious artist. 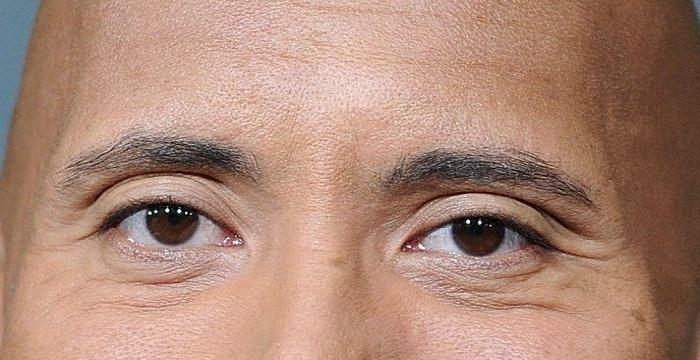 Very soon, he began to work in that direction. In the 1940s, Fats had a busy travel schedule, which eventually caught up with his health. In 1943, he appeared in the Hollywood musical ‘Stormy Weather’ as himself, performing his own composition ‘Ain't Misbehavin’. In the same year, he composed for the Broadway musical ‘Early to Bed’. These were his last notable works before his death. Fats Waller is best remembered for his 1929 song ‘Ain't Misbehavin'. It was composed specifically as a theme song for ‘Connie's Hot Chocolates’, an off-Broadway musical comedy. 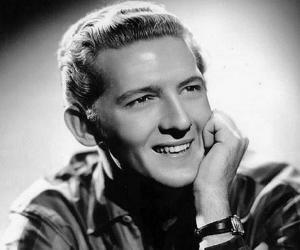 Later, he recorded an instrumental version of the song before re-recording it as a vocal for his 1943 film ‘Stormy Weather’. ‘Honeysuckle Rose’, written in 1929, is another of his major works. He composed it as a soft shoe dance number for the Off-Broadway revue ‘Load of Coal’. 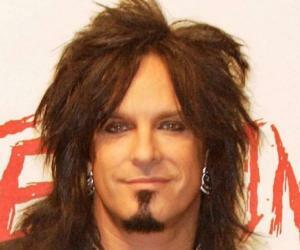 The song’s lyrics were written by his partner Andy Razaf. The famous song has been recorded by many well-known singers since then. In 1921, 17 years old Fats Waller married Edith Hatchett. Soon, they welcomed a son named Thomas Wright Jr. However, the marriage was short-lived, and he divorced Hatchett in 1923. Thereafter, he was persistently plagued by her alimony claims, being jailed for nonpayment at least once. In 1926, Fats married Anita Priscilla Rutherford. They had two sons, Maurice and Ronald. In 1943, Waller went to the West Coast, where his tight schedule took a toll on his health, resulting in the cancelation of his engagement at the Zanzibar Room, St. Monica, California. When he boarded the train for New York in mid-December, he was already sick and exhausted. The train to New York was stopped at the Kansas City station because of a terrible blizzard. Fats, already suffering from influenza, sat throughout the night in his compartment, shivering and unconscious. His secretary Ed Kirkeby was with him. Fats was declared dead in the early hours of 15 December 1943 by a visiting doctor. At that time, he was just 39 years old and at the peak of his musical career. After a funeral service at the Abyssinian Baptist Church in Harlem, his mortal remain were cremated and ashes were scattered over Harlem. In 1999, Fats Waller was inducted in the ‘Grammy Hall of Fame’ for his 1934 recording of ‘Honeysuckle Rose’. In an interview in 1941, Fats Waller revealed that he wrote his famous number ‘Ain't Misbehavin' while he was lodged in a jail for nonpayment of alimony. He was therefore not misbehaving.